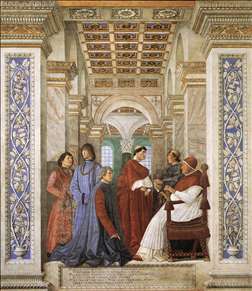 Italian painter from Forli in the Romagna, active mainly in Loreto, Rome, and Urbino. 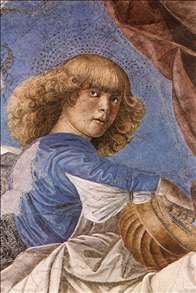 He was an attractive and idiosyncratic painter who achieved a high reputation in his time, but little of his work survives intact and he has been a neglected figure until fairly recently. 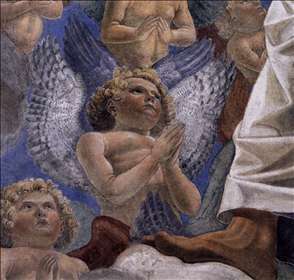 His style was indebted to Piero della Francesca and he was renowned for his skill in perspective and illusionism; he was, indeed, credited with being the inventor of extreme form of foreshortening known as sotto in s, of which Mantegna was another great exponent. 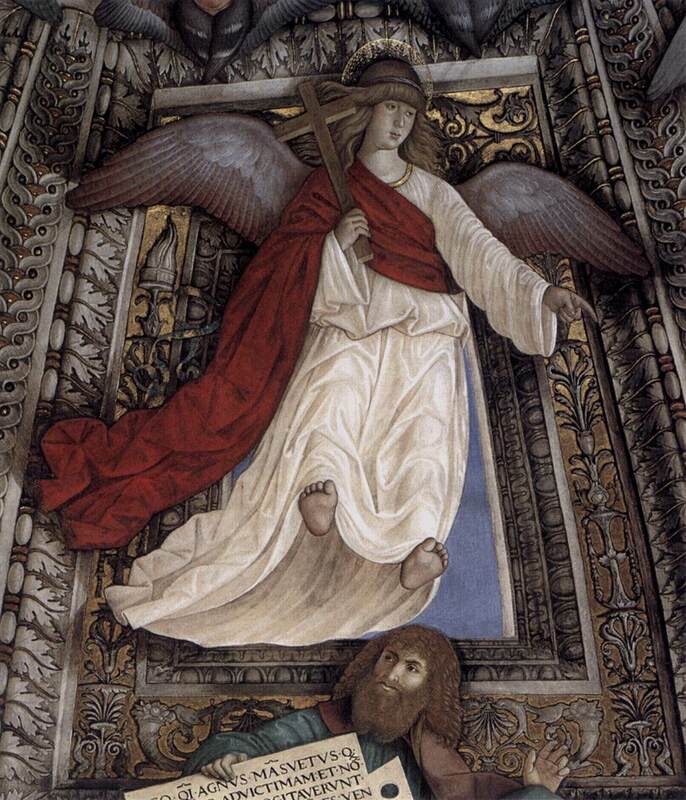 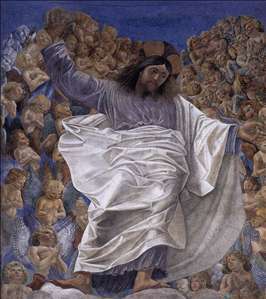 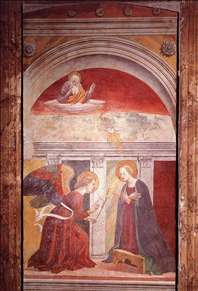 Melozzo s skill in this field is seen in his fresco of the Ascension (1478-80) for the dome of SS. 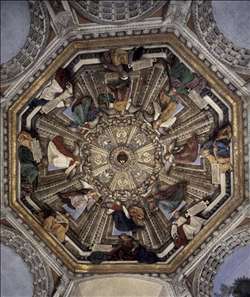 Apostoli in Rome, fragments of which are in the Quirinal Palace and the Vatican. 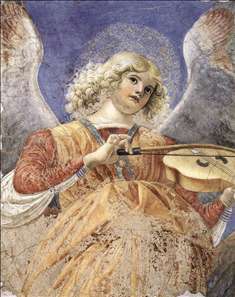 See more details about "Music-making Angel"
See more details about "Foundation of the Library"
See more details about "Dome decoration"
See more details about "Triumphant Christ"
See more details about "Triumphant Christ "